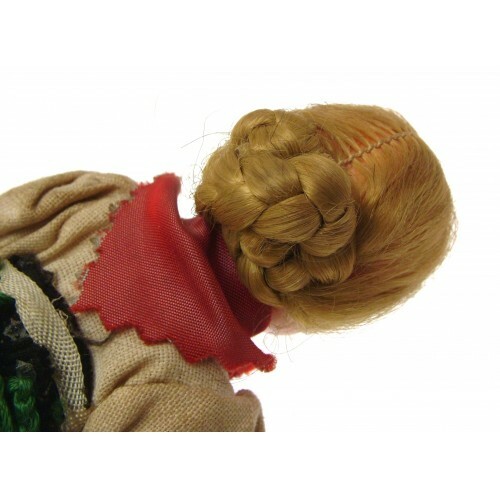 Small size souvenir doll with hair pulled back into a bun. 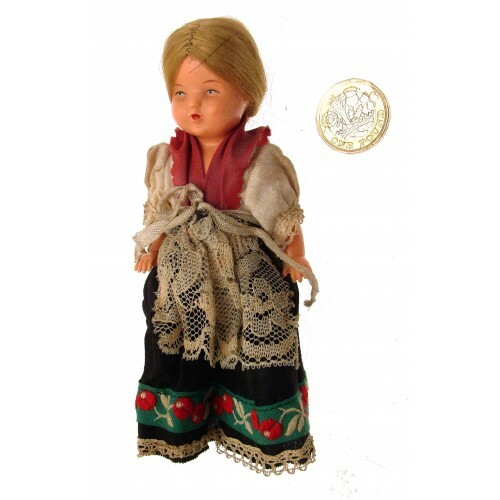 Although previously owned and of vintage age, this small doll is in generally good vintage condition. 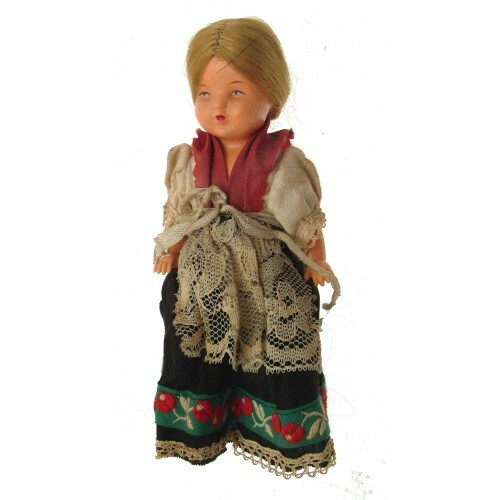 Face, hands and legs appear to be a plastic or composition. Hair is still beautifully plaited. Colour of the white or cream clothes now aged in colour, and also there is paint chip to the back of one of the shoes. Otherwise good. 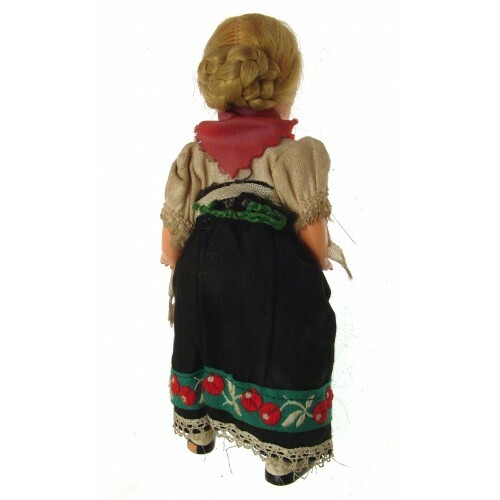 Doll measures 13 cms in height. 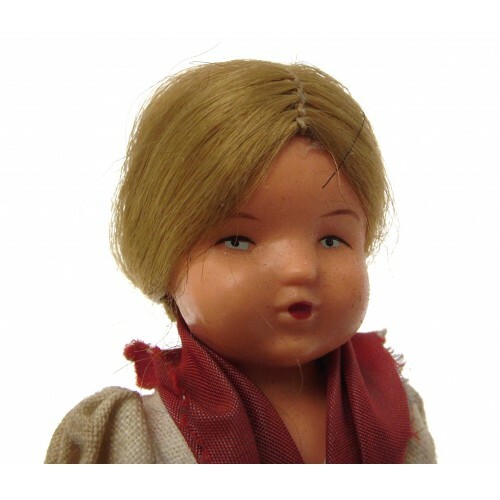 Official One Direction collector doll. This one is Louis, and is Wave 3. Retail box measures approxi..